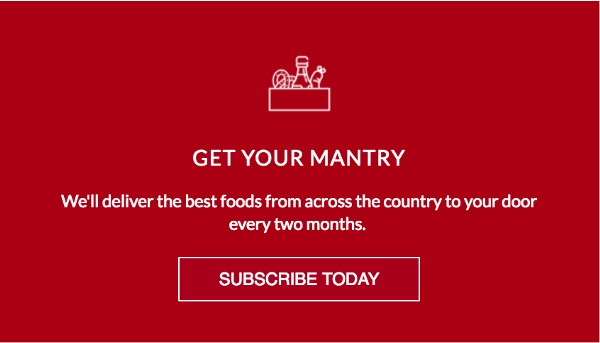 15 of America's Best Chocolates | Mantry Inc.
7 years, 3,500 oz. 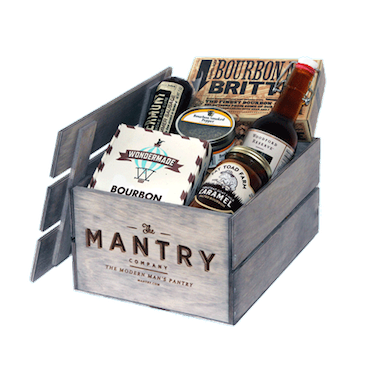 of chocolate tasted by the Mantry team, here are some of the best in the US. 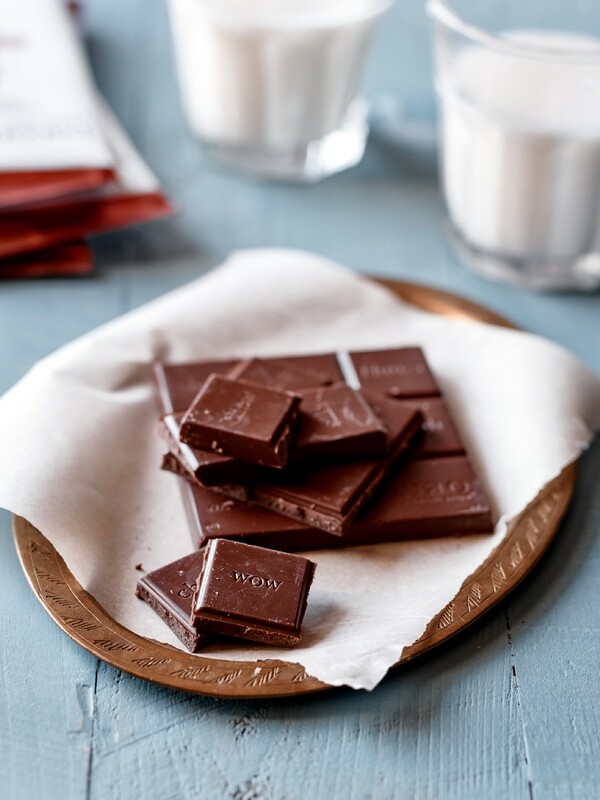 Inspired by founder Katrina Markoff’s mix of traditional training (she’s a Le Cordon Bleu alum) and avant garde inspiration (she worked a stint at El Bulli), Vosges is as far from Hershey bars — in both directions — as it seems possible to get. Think Willy Wonka in a Saville Row suit: the Chicago-based chocolate factory makes everything from über-classic truffles to a whole shelf’s worth of bacon-infused bars to this particularly hybridized creation, a blend of Rogue Brewery’s chocolate stout, rich dark chocolate, and alderwood-smoked sea salt. When it comes to chocolate, father knew best. The pod, in other words, has fallen far from the tree — the Mayas, who first cracked the code of this now-sacred bean, make our current blends and bars seem bland. Our milks are merely milquetoast; our darks are downright dismal compared the the bittersweet, sharply spiced and richly fruity concoctions the originators thought up. 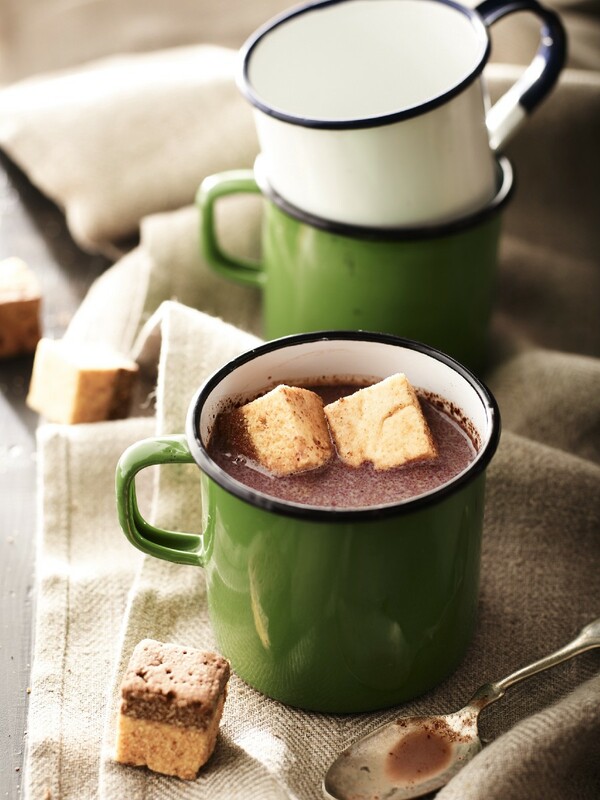 Save those sugared Swiss powders for de-icing the sidewalk and taste chocolate primal source, with spiced marshmallows, salted caramel, and a snappy, tortilla-chip crunch. Started by a pair of moms looking to satisfy kids’ sweet teeth and parents’ consciences at the same time, Cocoa Santé tucks you in with a better nighttime cocoa: organic beans from small co-ops and lightly processed, natural milk powder. Their Azteca blend adds vanilla, cinnamon, and the spicy glow of chipotle peppers. 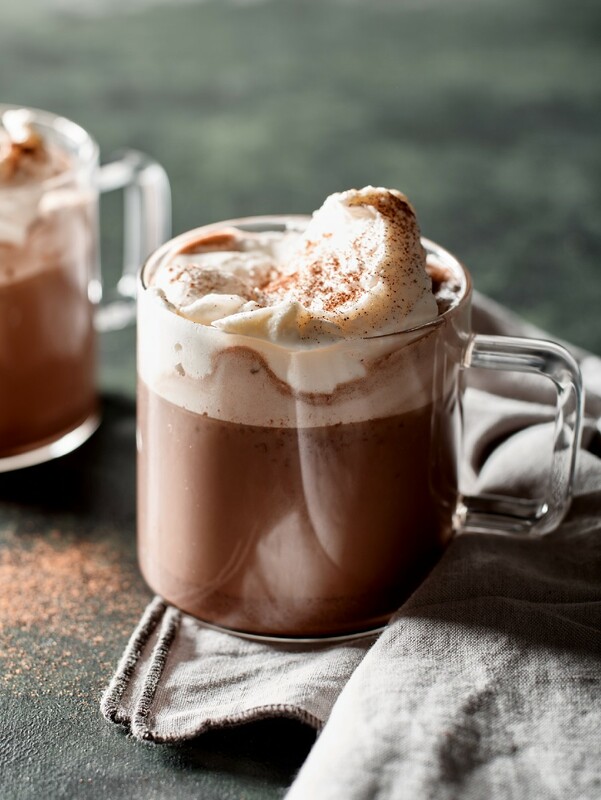 Mix a package of cocoa with a splash of añejo tequila, top with whipped cream and a cinnamon stick, and throw another log on the fire — you’ll want to stay up and savor this. 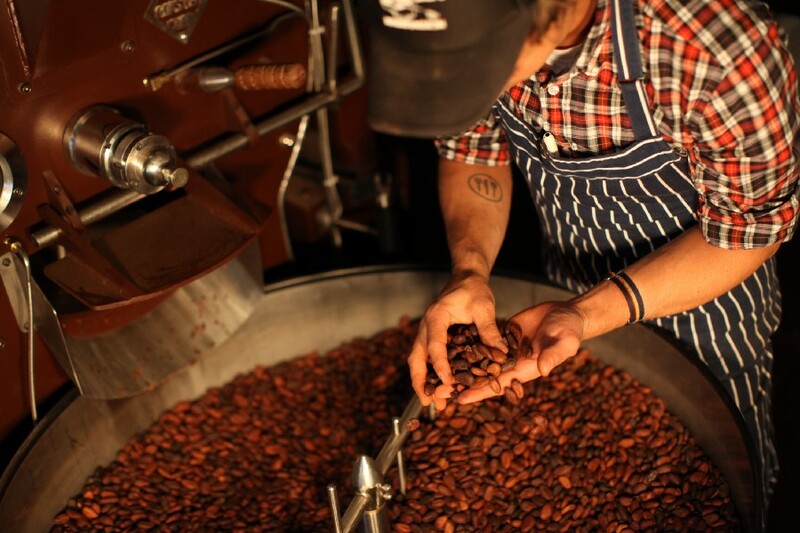 South American chocolatiers transplanted to Southern California, these brothers marry the quality beans of their home country (Chuao is the world-class chocolate-growing region of Venezuela) to American tastes. By which we mean, simply, bacon. Or, more specifically (this is SoCal, after all, where nothing’s that simple): Bacon, smoked sea salt, and maple syrup. Oh yeah, and good, ethically sourced cocoa from the motherland. No backpack leaves the trailhead without a bag (or ten) of cocoa powder, easy comfort after a day’s trek. Or should we say, brown-colored sugar. Because most hot cocoas are just that. Not here. Company founder Aaron Koch had his chocolate epiphany at the source, living in a treehouse (whence the name) on a Hawaiian cocoa plantation. 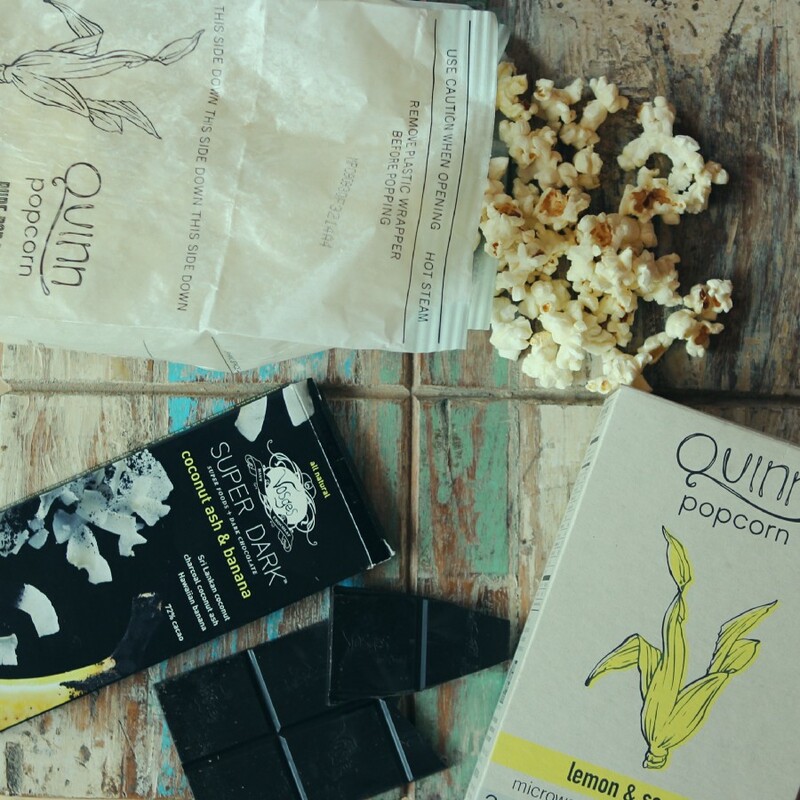 These bars are just as direct, sustainably sourced from small Peruvian farms — no workarounds, no fillers here. And at 72% cacao, they don’t skimp on flavor either. You’ve never tasted a richer cup, so deep and warming the sleeping bag seems overkill. 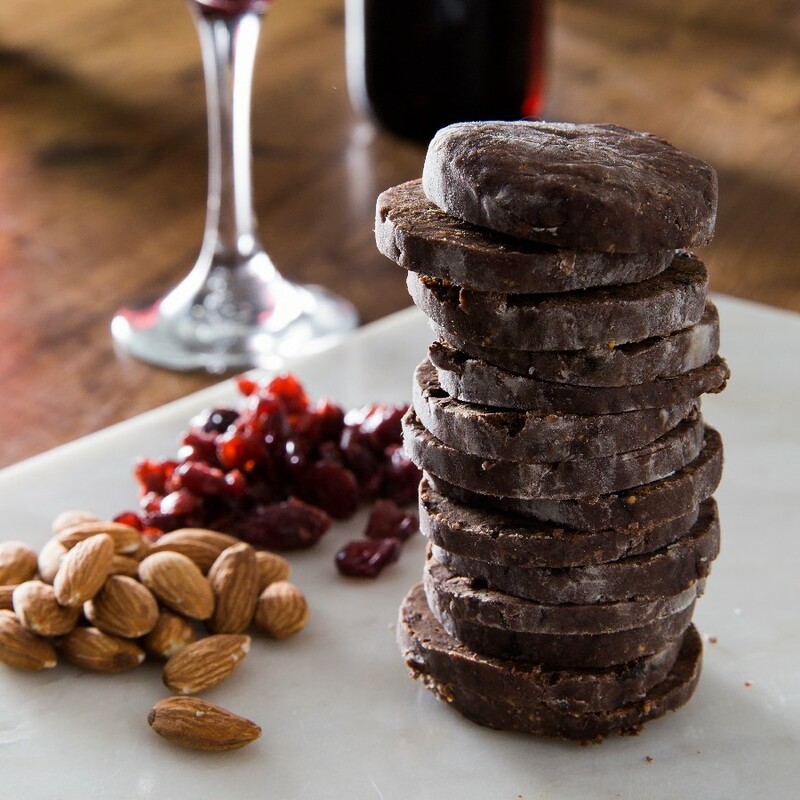 Crushing a Crunchie bar won’t get you very far but high grade dark chocolate is rich in antioxidants, vitamins and minerals, boasting benefits that include stress reduction, heart health and improved brain function. Chicago based Vosges combine amino acid rich coconut ash with hawaiian bananas, encasing it all in 72% cacao. The result? a solid substitute for a snack attack. Maker Scott Witherow gave Mantry the nod to debut his newest bar, an ode to his dixie roots combining the special twang of buttermilk with smooth white chocolate and local coffee from Bongo Java Roasting Co. Scott stone grinds every batch offering the first raw cocoa to bar process in the South and the perfect partner for an afternoon cup a joe or glass of good ol’ bourbon. 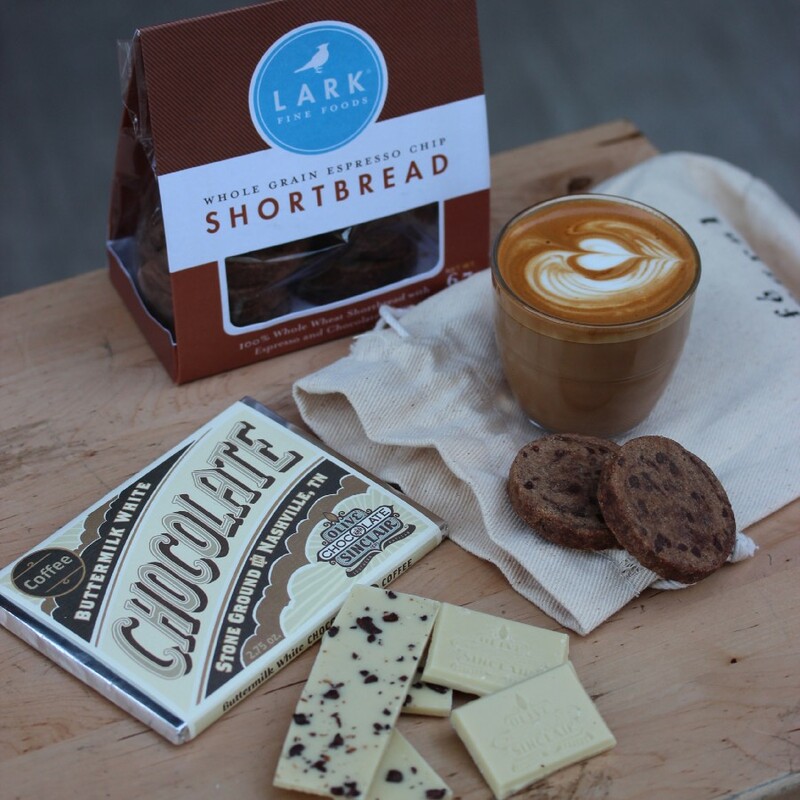 The high-end, organic, flavor-grade cacao featured here makes one delicious detour from specially sourced Tanzanian-grown bean to Brooklyn-made bar: It stops off for a drink. Bourbon, to be exact: resting in Berkshire Mountain Distillery barrels, where the nibs soak up the now-drained spirit’s spirit for a full month before being ground, melted, sweetened, and shaped. All of which means your after-dinner indulgence can get right to the point: a tipple, a treat, or both at once. 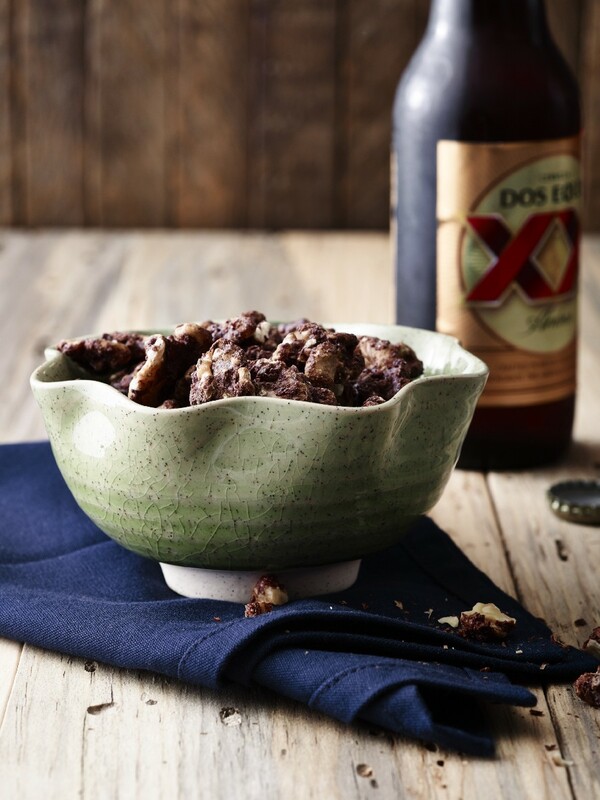 Whether you’re watching the game at the bar or in the stands, you won’t be far from a bowl of nuts. And we don’t mean your drunken buds. Ubiquitous mindless munchies, peanuts are like the foam fingers of sports food, and often just as flavorful. Not these. One pastry chef, one generations-old family recipe, a grad school cooking project, and a whole lot of peanuts means a simple snack with a ton of taste. These send Lush’s basic recipe — a little sea salt, a little sugar — south of the border with the rich, sweet and spicy earthiness of a great Mexican mole sauce. One who travels must, eventually, return — so let’s finish out our world tour with a domestic dessert. And this one is as local as it gets: simple stateside goodness, all Michigan-made. But the former firefighter behind the namesake tooth eschews the mechanical means of his Detroit neighbors — no assembly lines, no microwaves, just butter, sugar, hand-sliced almonds, and whole roasted beans from down the road in Ferndale. A sweet end to a long journey. Ask any top pastry chef in the country what the secret to elevating good chocolate is and they’ll most likely say salt. Which explains why Katrina Markoff isn’t just another hack pandering to the bacon craze sweeping the country after all. 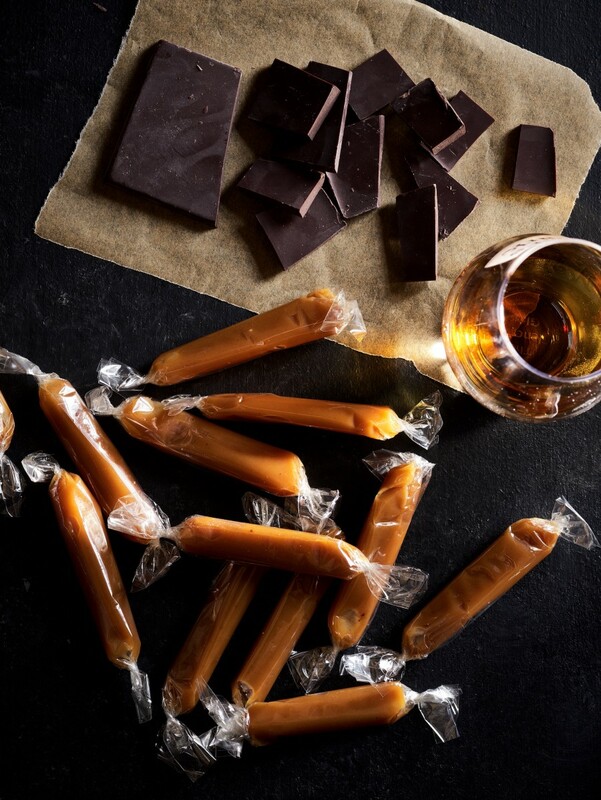 The graduate of Le Cordon Bleu Paris offers refuge from gutless chocolate to craft what can described as a baconized Skor bar, melty, crunchy, salty, meaty. 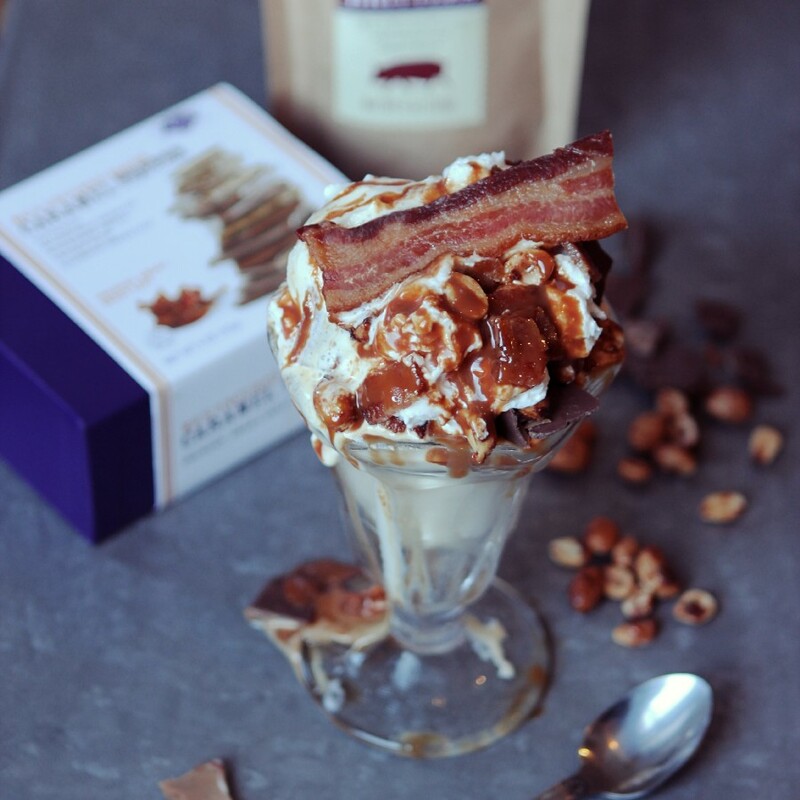 The only thing that rivals devouring this bar straight up is crumbling it over ice cream with red head peanut brittle and crispy Broadbent’s to complete a Sundae fit for bacon folklore. Take your dinner party full circle — with a twist. Deke your stuffed-to-the-gills guests (by now tipsy enough to fall for it) with a show-stopping salami log. More meat? they’ll whine, as you slice off a hunk. Not quite: Here’s richness of another sort, a decadent roll of dried figs and dates in dark French chocolate and almond marzipan. An idea born in a Dallas dive bar — as all such monstrous hybrids must be — the chocolate salami is so wrong, it’s just right. Italy is a land of contrasts: the sweet crema on a bitter shot of espresso, a ribbon of fatty pork around a ball of bright melon. 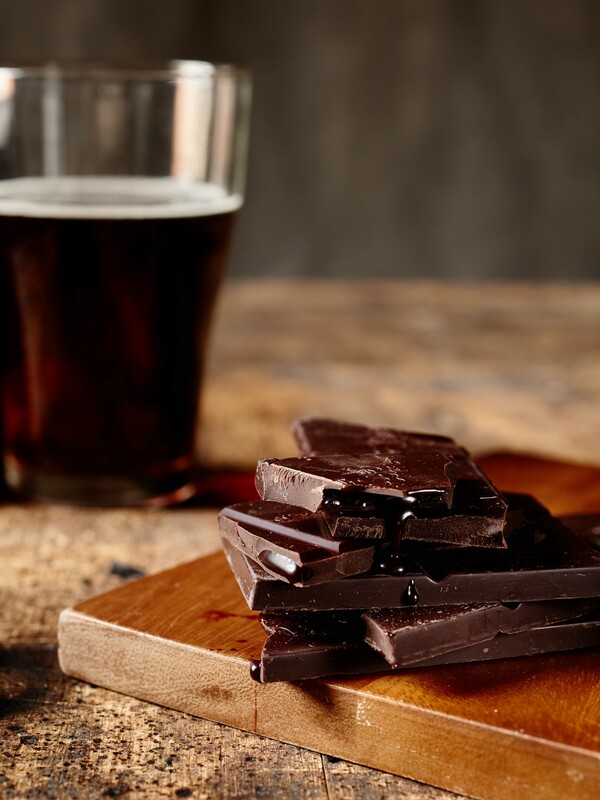 Sweet and salty, bitter and smooth, fruit and smoke — that’s the magic that makes this chocolate bar. Start with Latin American grown Trinitario and Criollo beans (gourmet varieties known for their bright, fruity character) from organic small farms. Then, since these are no ordinary beans, use extraordinary salt: sea harvested crystals, delicately smoked in Chardonnay oak barrels. A chocolate bar like no other. The Music City knows a thing or two about duets and producer Scott Witherow allows fragrant ceylon cinnamon and a hint of cayenne heat to play off each other in this handcrafted number. 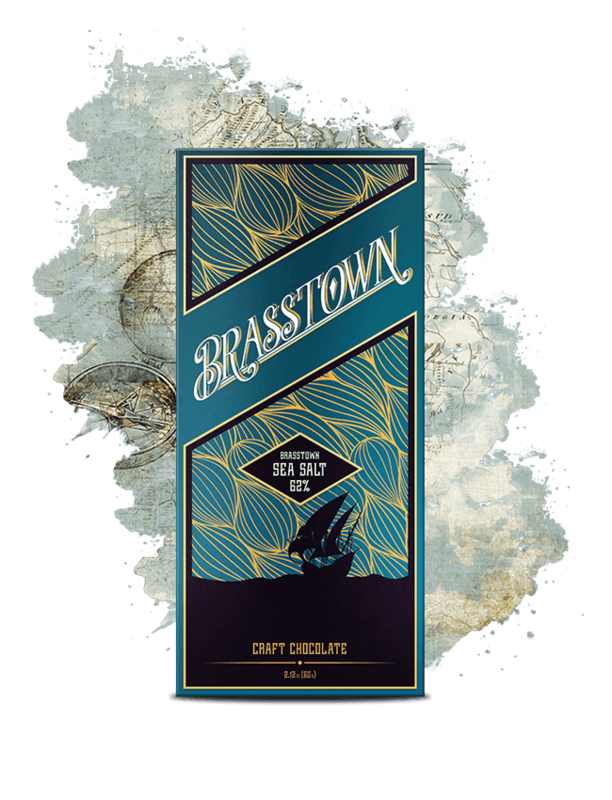 A recipe sampled from the Aztec and Mayan people, who would grind cocoa with spices and chile, Scott starts each bar off with whole beans that are slow roasted and stone ground. Around his tiny factory, Scott (who has a Grande diplome from the prestigious Le Cordon Bleu Culinary Academy) makes sweets with a distinctive Southern twang. Buttermilk White Chocolate?` Smoked Brittle? No need to find a golden ticket to celebrate. 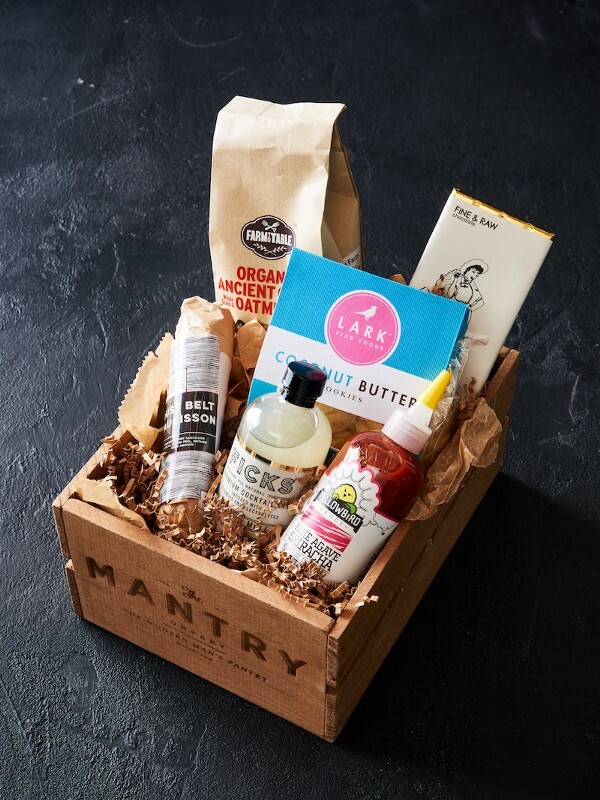 Fine and Raw grew fast, from a bonbons-by-bike-delivery service to sustainably sourced bean-to-bar chocolate evangelists, and their little treats tell stories just as big. 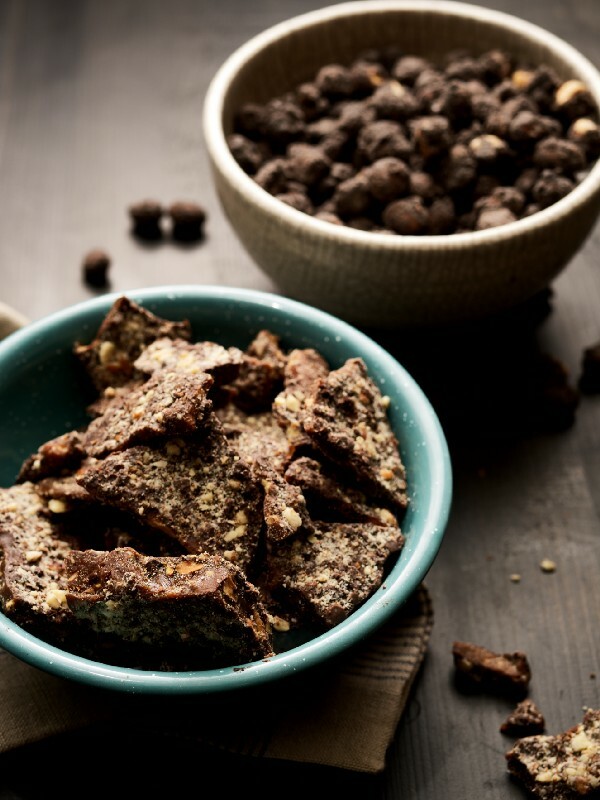 As if quality chocolate wasn’t enough — and this blend of raw chocolate for smoothness and roasted for bite surely is — they’re sprinkled with salt and kissed with the sultry smoke of alderwood. Chocolate salves all sores. Smoked and salted chocolate doubles down on the comfort. 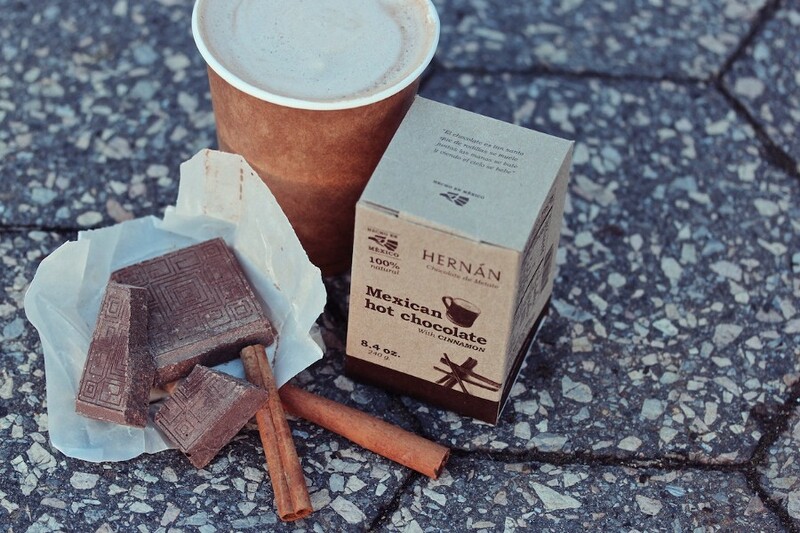 Stone ground by local artisans in the Mayan Region of Chiapas (an area known historically for nailing cocoa but not calendar predictions) HERNÁN offers the opportunity to experience this regional specialty without having to do all that smuggling stuff. Take a pass on those powder packets and melt one square in a cup of hot milk. Authentically, a Molinillo (wooden whisk) is used, but the American variety or blender will get that frothy finish you want. Try with a nip of your favorite liquor, like completely un-authentic Frangelico. Marc “Coop” Cooper has been packing heat for 28 years in Watertown, just a cardigan’s throw from those wicked smaht Harvard Law Kids. Who he must have had cooped up for a couple days to get a 1993 Patent on his “drippy lid design”. Our advice? 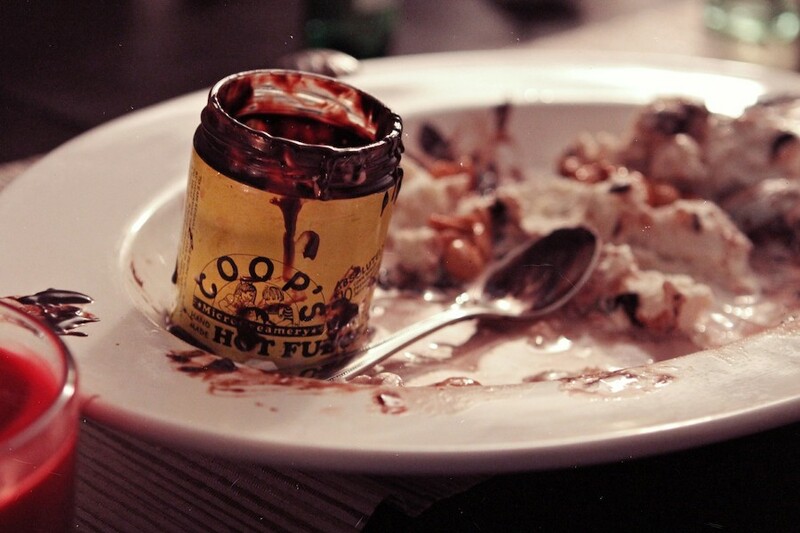 Feed the masses Massachusetts style: 1) Unload a bucket of ice cream in the biggest bowl you got 2) toss in a handful of candied nuts and spoons 3) Zap the fudge for 10 seconds and do your best Jackson Pollock. 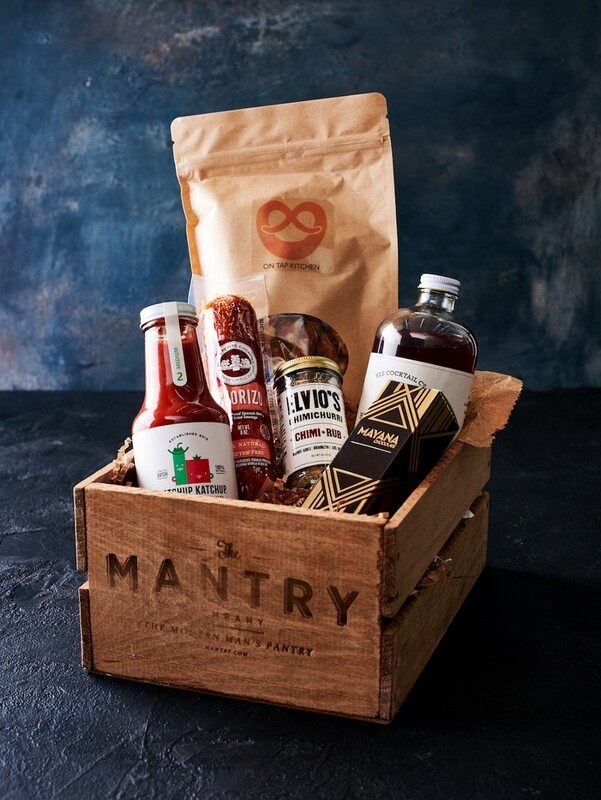 You might like Mantry because we send chocolate in various forms.